Electronics news site BGR reports that Sony plans to double the current maximum resolution of its console by supporting 4k with the PlayStation 4. According to an article from BGR, Sony is planning to support a resolution of over 4,000 pixels on the upcoming PlayStation 4. 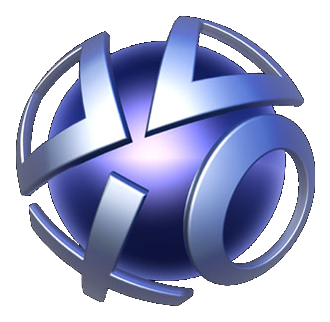 This increase in resolution would be twice that of the PlayStation 3's current maximum resolution of 1080p (1912 x 1080). This rumor goes in line with Sony's alleged new line of 80in LED TV's due out for the holidays which support the resolution. The combination of a new LED TV line, along with the PlayStation 4, could highlight a new Sony marketing strategy to push out 4k technology onto consumers; similar to recent efforts with 3D. It is worth noting that the source of these rumors also estimates the price of the new 4k-supporting LED's around $30,000, so it may be a few (or several) years before the technology becomes practical enough for mainstream use. In fact, a large percentage of today's games and television programs don't even support 1080p, instead opting for older 720p or lower formats. I dont get why people want good graphics and resolutions so badly, it's about the gameplay right? I don't get where this meme of "gameplay OR graphics" comes from. There's no reason you can't have both, and there's no reason people shouldn't want both. No one has much fun playing Snake on the Atari for several hours straight, because no one wants to play 16 pixel games when there's modern stuff out there. Graphics greatly add to the experience; just try playing Oblivion or Morrowind after an hour of Skyrim. Snake is lacking in both departments though. :PGraphics have never been a huge deal for me; as long as they are somewhat along the lines of what's common, then I can manage. But 4000 pixels is ridiculous, in the good way of course.Also, the PS4 in the picture looks like a grill. The brain can hardly detect the difference between 1080i and 1080p. I don't see how 4000 pixels would benefit me at all.To be honest, I'm kind of hesitant about a new console generation. I don't want to drop another $400 dollars on a new console when I could be spending it on games. The brain can hardly detect the difference between 1080i and 1080p. I don't see how 4000 pixels would benefit me at all. To be fair, 1080i and 1080p are exactly the same resolution, the only difference is how the content is scanned. "p" stands for progressive and "i" stands for interlaced; the only time you might/should notice a difference are in very fast scenes were there could be bluring.A better comparison is turning your monitor to 1024x768 and then trying 1920x1080 right after. You could also think of it like this: current 1080p resolutions contain 2,073,600 pixels. The 4k resolution in this article will probably be 4096x2304 (2304p), which would mean 9,437,184 pixels. I see your point about Oblivion versus Skyrim, and agree too. It's like playing RS first in the highest detail and then in the lowest detail. You do get used to it though. And I agree with the 16 pixel part Graphics do add to the overall experience of the game. Graphics do add to the overall experience of the game. Yes, but sometimes bad graphics add charm. I mean, look at Megaman. The fans were outraged when they tried to update their graphics. The fan was outraged. * But in all seriousness which Megaman? Bad graphics rarely add charm ever imo, although some "vintage" games lose their feel with updates, and the only people that play them do so out of nostalgia. Graphical updates would obviously ruin that. But in all seriousness which Megaman? I believe it was the 3D Megaman games on the Ps2. Some people say it was underrated, but for the most part, I hear it getting a lot of hate for straying away from its roots. I don't have an opinion, since I never played them.Also, 3D Dot Game Heroes's charm came from its retro graphics. Remove that, and you have a pretty cut and dry adventure. The gameplay was still moderately fun, but I'm glad I found it cheap on Ebay, because that game is NOT worth $40, IMO. The fan was outraged. *But in all seriousness which Megaman? Bad graphics rarely add charm ever imo, although some "vintage" games lose their feel with updates, and the only people that play them do so out of nostalgia. Graphical updates would obviously ruin that.